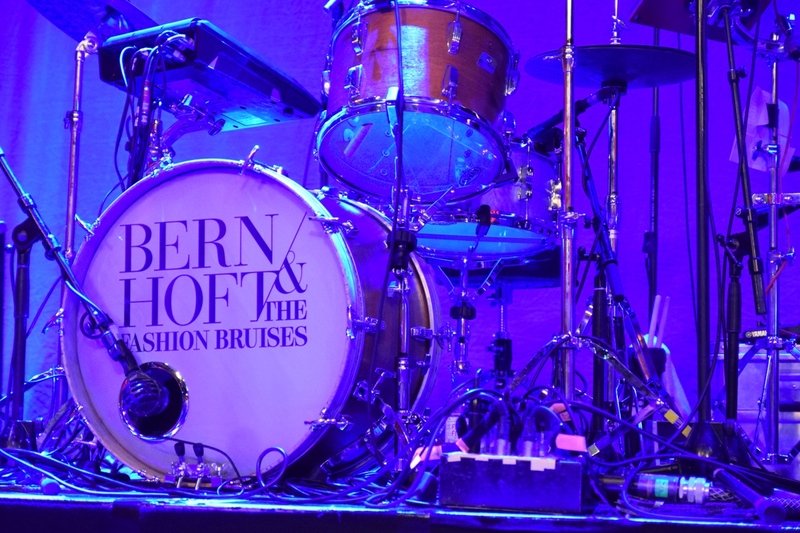 The first time I discovered Bernhoft was at the Traumzeit festival in Duisburg 2011 and brought him to your attention with the following interviews in our column “Artist of the Week”. Since then, with curiousity and with great pleasure, we‘ve been following the musical way of this extraordinary musician and a very sensible and intelligent person. 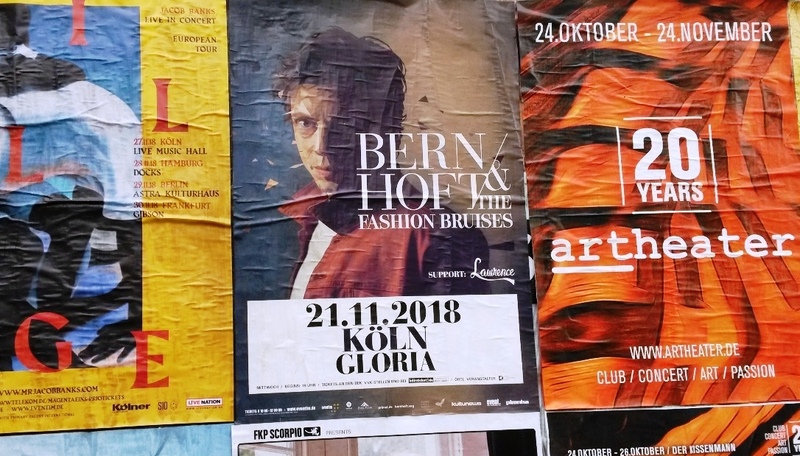 Tonight, he played in the iconic club Gloria in Cologne with his band. We met before the gig and spoke about his current tour and music. Jarle, we‘ve known for seven years now, and we‘ve kept track of your musical development. But how do you see your development as a musician so far? In terms of music, so far I am very happy. I am still able to do what I like. But the music business is changing in a very fundamental way. Objectively speaking, I think it is harder for an artist like me who is not world stadium touring and selling tons of records. 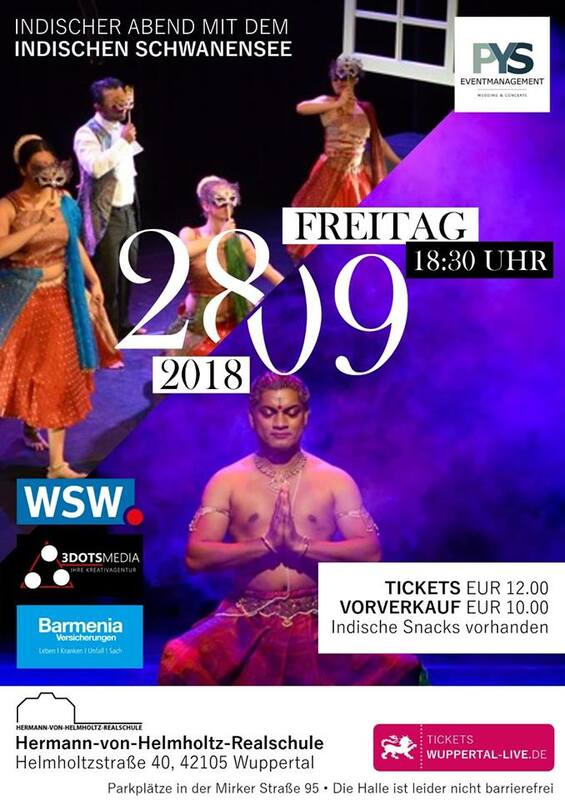 Satish, you will be for the second time with your dancers in Wuppertal. How was your first time here? It was an excellent, heartwarming, welcome feeling. 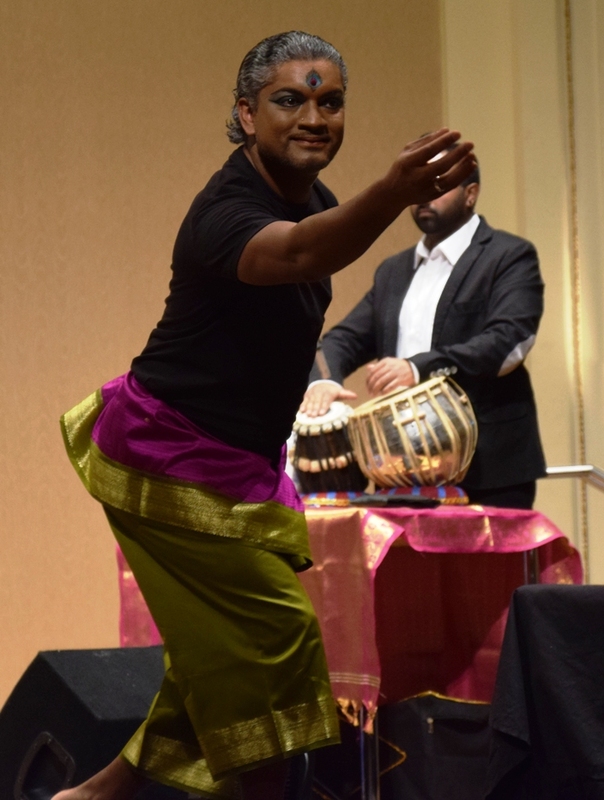 The audience, musicians and the Hall’s energy were so open, that we- the dancers and I, could give ourselves up to it completely and express the art the way it is supposed to be. We, as artist / Dance Company, are there with our art to show, as well as to spread the energy. So the audience was filled with happiness. And that’s what I felt during the performance and after. The piece you will present in Wuppertal is called “Indian Swan Lake”. 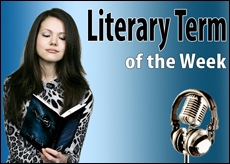 Why did you choose the “Swan lake” ballet composed by Tchaikovsky for another interpretation? Since I was young I’ve admired the ballet dancers and performances. The one that I was really touched by was “Swan Lake”. And during that period I was learning Bharatanatyam. While watching the ballet I was thinking: “how could this be with Indian dancing?” Not that I wanted to change the concept. I love ballet in its original way. But as an Indian dance student I was already thinking about changing the choreography in the Indian dance way. So, for years it was turning around in my head. And then I thought: why not making an Indian piece of it! 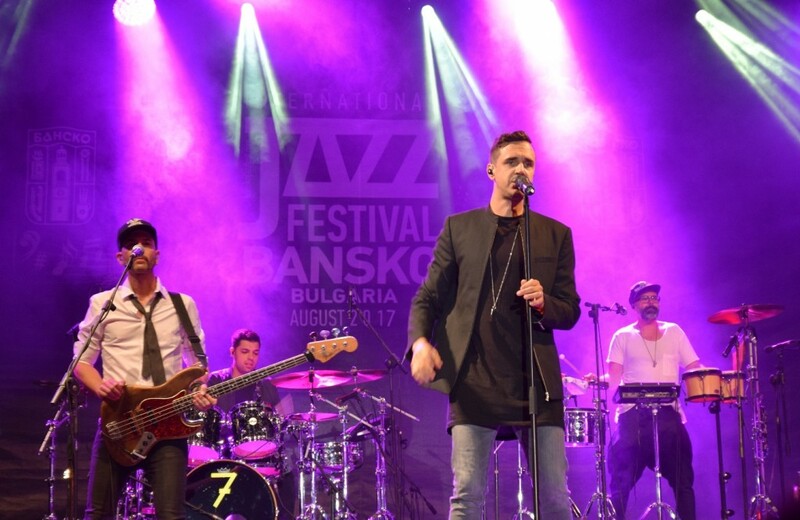 The International Jazz Festival in Bansko is one of the biggest summer musical events in Bulgaria and one of the foremost international cultural happenings on the Balkans. 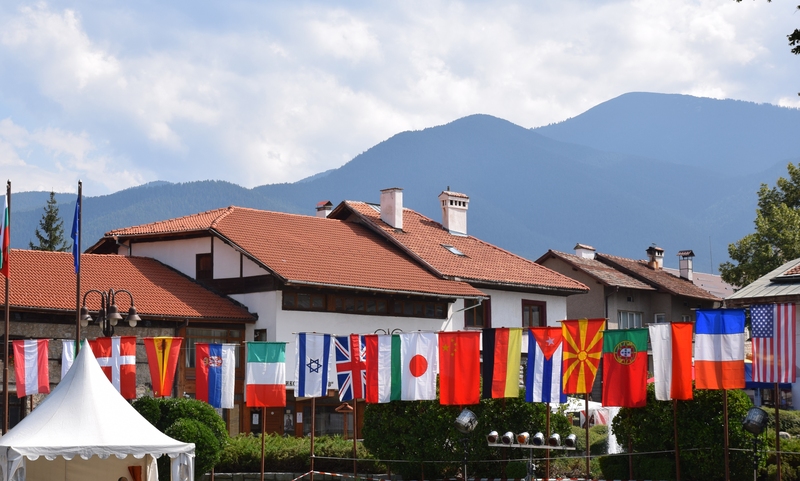 Since its foundation in 1998 the festival has been held every year in August in the small town of Bansko. The concerts are free for the public. Traditionally, the programme features styles and groups representing almost all jazz trends. During the festival week jazz is also played on various smaller stages in the large resort complexes and restaurants. August 3, Friday, 8:30 p.m.
Once upon a time, there was a little peasant. He worked very hard and with love and perseverance rose to an influential and wealthy industrialist and benefactor, and not only in his own city. It was important for him to help the young and the old, to bring joy to the people. He didn’t just build many factories and gave work to his employees, but he also dreamed that his care and protection would transfer to the future and spread like a wing over them. For this purpose, he built a beautiful and big House and named it Homestead. The House had long and elegant corridors, many rooms, a great view and even more wonderful park and a lake, where a boat took the visitors from the city. Next to the drinking fountain with cold water, there was always sweet Turkish delight for anyone, who would stop there to refresh. Years were passing by, The House was blooming and was welcoming guests from near and far. Until one day disaster stroke and brought war, death and destruction. The benefactor could not bear the sufferings, that were caused to his beloved city, and died. Before that, he expressed his wish that his whole property and heritage should be donated for good purposes. 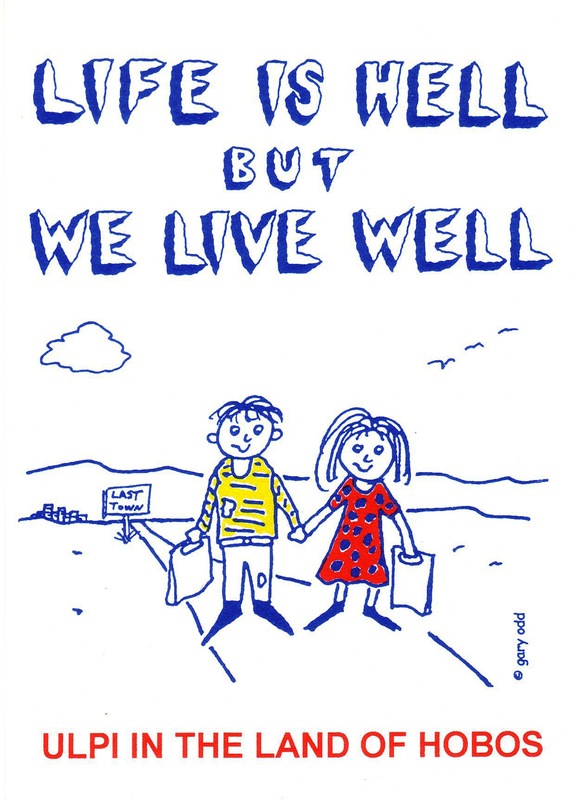 And that the beautiful Homestead should become a home to the old and feeble. The City Church in Wuppertal is known for its high-quality and sophisticated event program, as well as for the good cooperation with other partners. 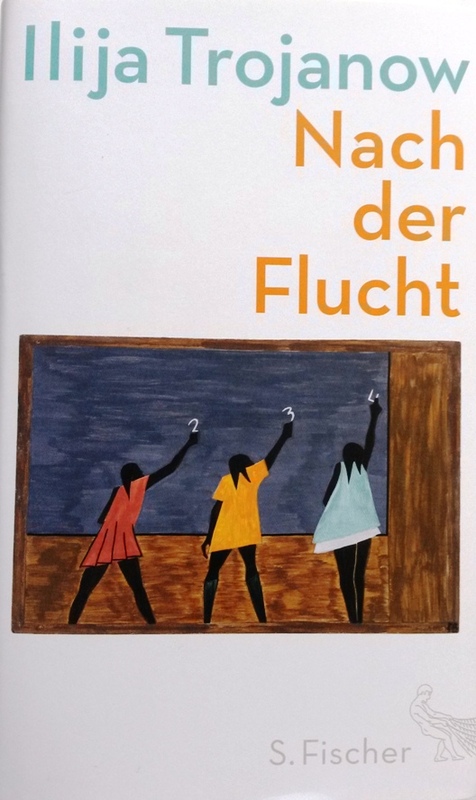 At the invitation of the Catholic Educational Institute and in cooperation with the bookstore Mackensen and the cultural bureau of the city of Wuppertal , CityKirche Elberfeld (Old Reformed Church) hosted for an evening politically and socially interested people and enthusiasted readers. 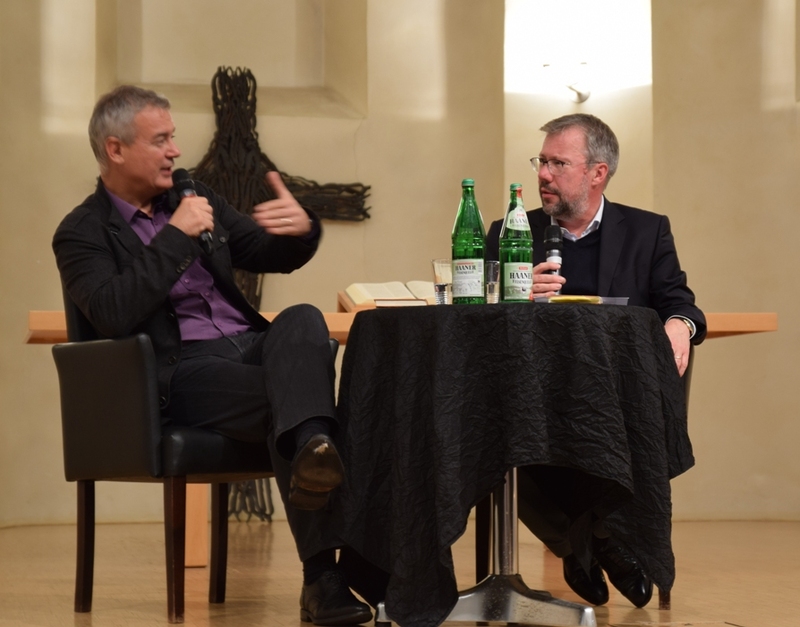 They had the luck to meet the award-winning author Ilija Trojanow at the presentation of his new book in a conversation with Hubert Spiegel from Frankfurter Allgemeine Zeitung. The author read and commented – with a lot of humor- numerous stories and pieces from his new title, “After the flight”. If you had to leave your country, you will surely recognize yourself in the book. And, even more- as if the author speaks right from your heart. The topic of “escape” has accompanied him throughout the years and subconsciously has been in his mind for so long, that the book was created in an “eruptive” way and was written in just a few weeks. And in case you haven’t had such an experience, you should read the book by all means. It is an attempt to share these experiences with others and thus to bring more understanding for this ” certain category of man – the refugee”. Mr. Trojanow has an important voice in Germany and abroad and hopefully it will now be heard by more people through the book and attract more attention in public debates. Here is our interview with the author, done shortly before the presentation and reading of his book. Mr. Trojanow, what does „homeland“ mean to you? Well, that’s why you have to read my new book (laughs): because I actually needed 100 pages to show how difficult the question of homeland is and how complex, multi-layered, kaleidoscopic and fragmentary this question turns out to be for a refugee. So, the question pretty much can’t be answered or summarized in one sentence. And it can’t be answered, because at the beginning of each conversation one should first clarify the term “homeland” and ask “what do you mean by homeland?”. That’s an incredibly diffuse term. 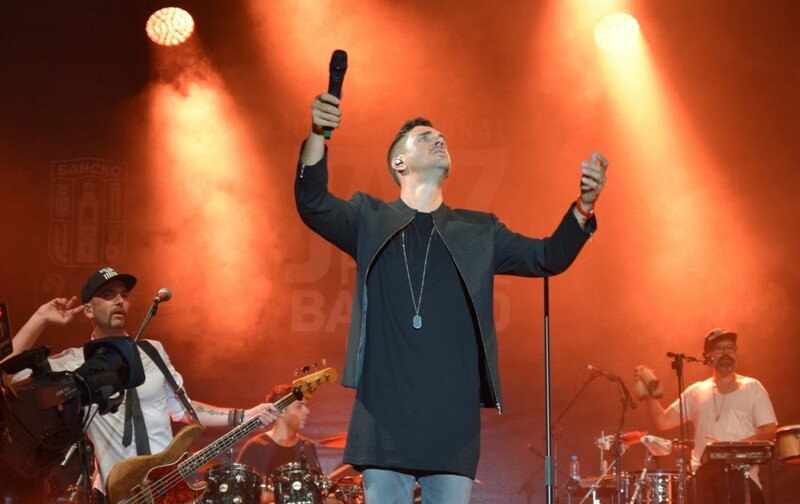 The 20th jubilee edition of the Bansko Jazz Festival is now history. For more than seven days from 5th to 12th August, numerous world stars celebrated a party marathon together with the audience. 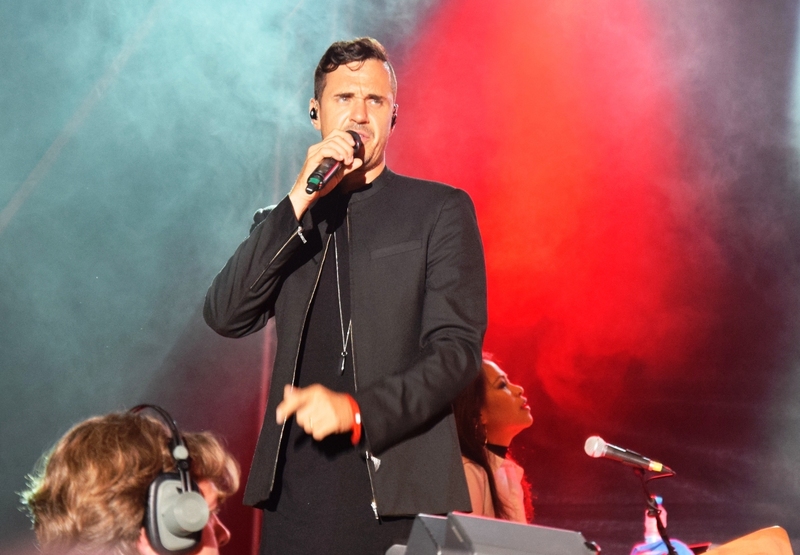 The Swiss singer Seven and his band had already heated the audience on 7th of August 2017. The thousands of spectators rewarded the musicians’ debut with great enthusiasm, standing ovations and, of course dancing and celebrating. 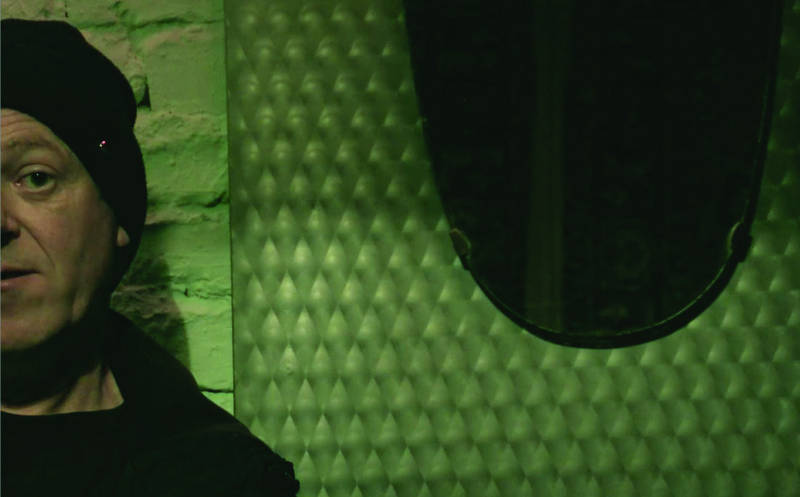 In the following interview – done shortly after the festival – Jan Dettwyler, founder and singer of the band, spoke with us about the first performance of his band in Bulgaria. Jan, you have had and still have a number of performances at various festivals in the German-speaking area. How was the performance at the International Jazz Festival Bansko, Bulgaria on 7.08.17? The performance was anything but normal for us. We had no idea what to expect and the audience had no idea what to expect from us either. So, we were even more excited than usual, we were very pleased about the invitation and accepted the challenge. 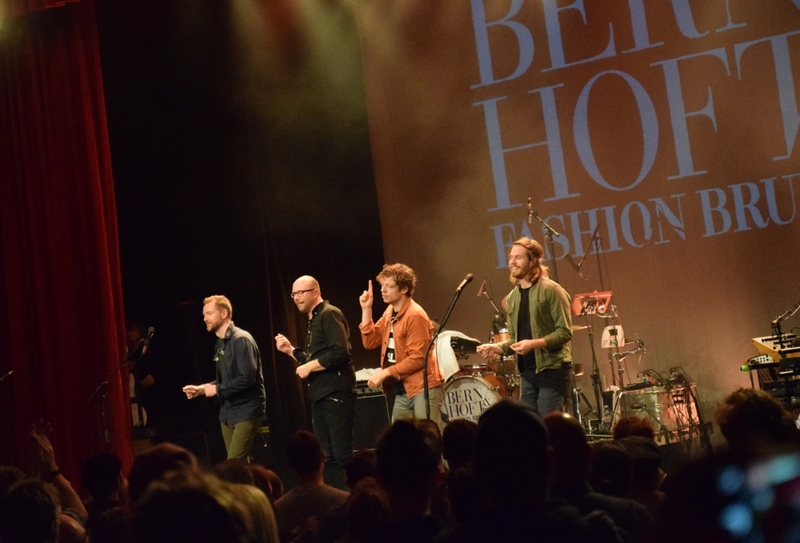 I was there too, and I experienced an audience that was very enthusiastic, that was dancing and greeting the band with rapturous applause. How did you feel during this first performance in an Eastern European country using the Cyrillic Alphabet? It was a very warm welcome and we were greeted with open arms. 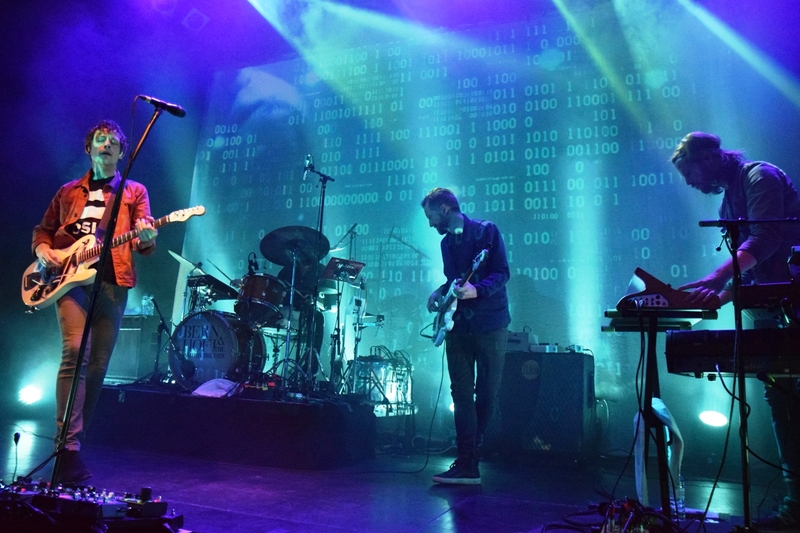 I felt a sense of insecurity in the audience when we started with our set, because people really didn’t know what to expect or what we will do with them. That great audience was very easy to get carried away and gave itself up to the music. This is always the most beautiful moment, when everyone relaxes at the same time and the stage disappears. His name symbolizes artistic longevity. An emblematic DJ, the man-radio. 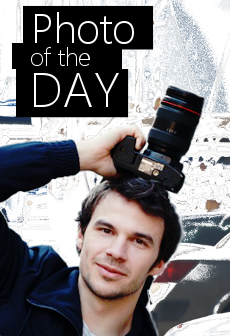 They define Toma Sprostranov as the most recognizable voice in the Bulgarian air. To the listeners he is a legend, and to the International jazz festival in Bansko – the favourite erudite and sweet-talking host. How did your love for the jazz festival started? It was born at the time it originated. In Bansko, at a magnificent place, I hosted a rock festival. The chief of “Tanne” hotel was bringing groups, starting from the duet Baccara to Ken Hensley (the author of “July morning” and most of “Uriah Heep”s hits). Back then the director of the Jazz festival, Mr. Iliev who was treating with dry needling in his clinic (even at the time Vasko Petrov and Kameliya Todorova used to sing in the living room of the hospital), so the doctor decided to move the party to the square and de facto put the beginning of the Festival in Bansko, 19 years ago. Curiously enough, in Bansko pop singers like Dancheto Hristova and Lili Ivanova used to sing, as well as Lili Drumeva with her country group. The doctor tried making the Fest resemble Montreux and the other jazz festivals around the world, which also had blues and boogie-woogie performances. Five times in a row Axel Zwingenberger visited us, the king of boogie woogie piano. Some big star is our guest every year. The year before the last they were “Incognito” that greeted me on the occasion of my birthday, which was the next day. This year I was greeted not by some unknown person, but by Joss Stone whose voice, they say, resembles the one of the queen of soul music, Aretha Franklin. Since 2009 Public Republic has been a media partner of the International Jazz Festival Bansko with the aim of popularizing the festival in Bulgaria and abroad, especially in the English and German speaking online community. 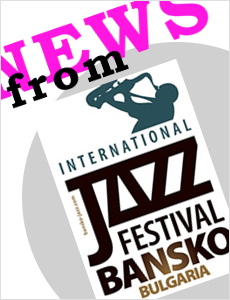 The festival programme is presented every year with the column „News from International Jazz Festival Bansko“ in the three languages of the magazine – English, German and Bulgarian. In the column there are also interviews with stars like Ana Moura, Axel Zwingenberger, Keito Saito, Seven, Jacky Ryan, Lila Emmons, Jive Aces, Yoni Vidal, Elina Duni, Eftekasat, Maya Nova and many others. In the year of the 20th anniversary of the Jazz Festival, Public Republic was invited to be part of the anniversary book edition with interviews conducted with artists together with other noted journalists and media. Public Republic thanks for the invitation to Dr. Iliev, founder and manager of the festival and to the journalist and editor of the book Vesselina Filipova, as well as to our colleagues providing the interviews and corresponding translations – Polina Georgieva, Elisaveta Baltova, Yana Radilova and Dessislava Berndt. 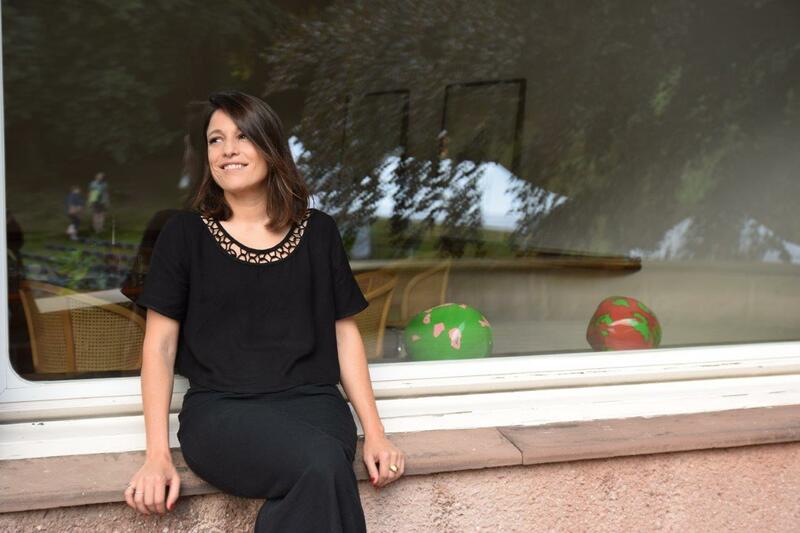 Today we would like to present to your attention our interview with Vesselina Filipova about the selection and compilation of the jubilee book edition “20 years International Jazz Festival Bansko” that will be published in the next days. 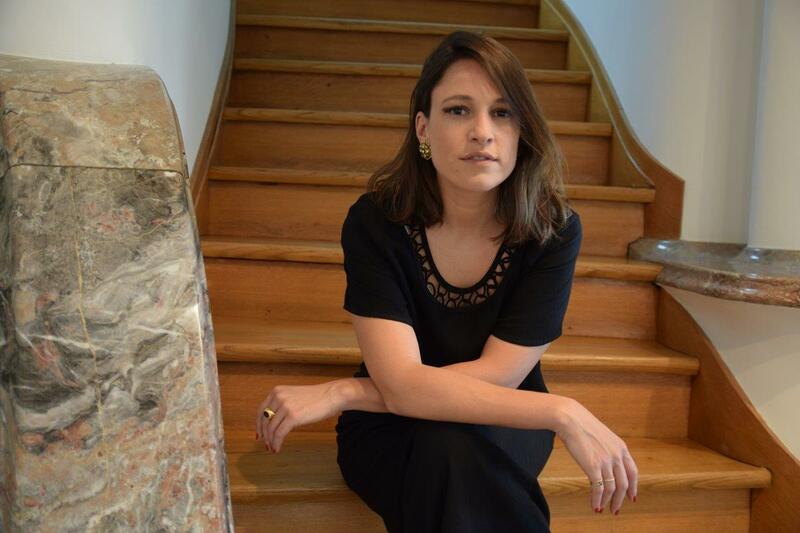 Vesselina, how did you come up with the idea of the jubilee book edition “20 years International Jazz Festival Bansko”? The idea to create a book is not new. It has been considered before when the festival celebrated its 5th, 10th and 15th birthday. Unfortunately, nothing happened. Obviously, positive energies had to come together in one direction. Personally, I really wanted to immortalise this phenomenal cultural event, the biggest music forum in Bulgaria. Indeed, few are the local festivals that managed to prove themselves through the years – not only in Bulgaria, but also abroad. 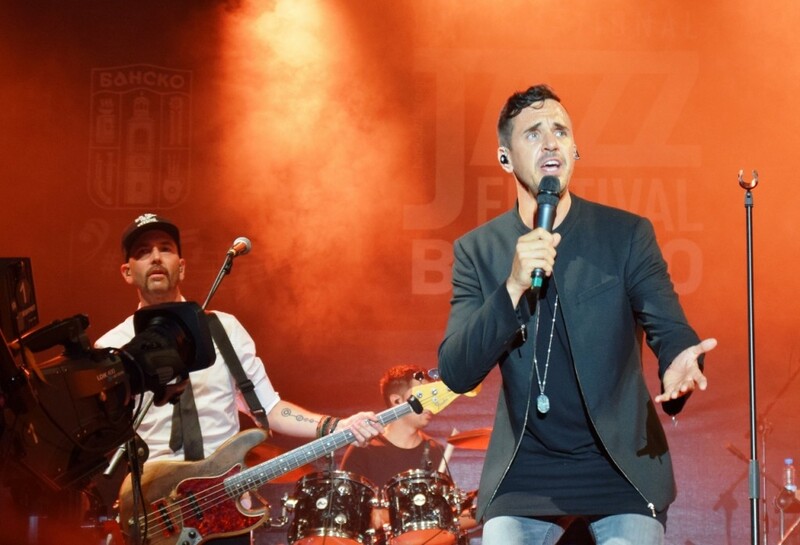 Through the written words I wanted to treasure for the further generations the incredible atmosphere in Bansko and the emotion conveyed by the interviews and reports of my colleagues, the Bansko Jazz Festival authorized journalists. Gary Odd (a.k.a. Gary Sinnlos) is an author, illustrator and publisher of ulpi.com, as well as a musician and inventor of the character Ulpi. Ulpi`s adventures finance his own ones. He has been travelling around the world with Ulpi for seven years. During his tours through the USA, Europe and Asia he sold more then 100.000 Ulpi books, in restaurants or in bars. There were always people who liked his stories. Gary, what is the meaning of the name Ulpi and where it comes from?? I don’t know exactly how I came up with the name. It was already there when I was a child. I also called my younger brother “Ulpi” for a long time. I don’t know if Ulpi means something but you can read in Wikipedia that the name of the first Roman emperor was Ulpius (Trajan). So, it is a venerable name. 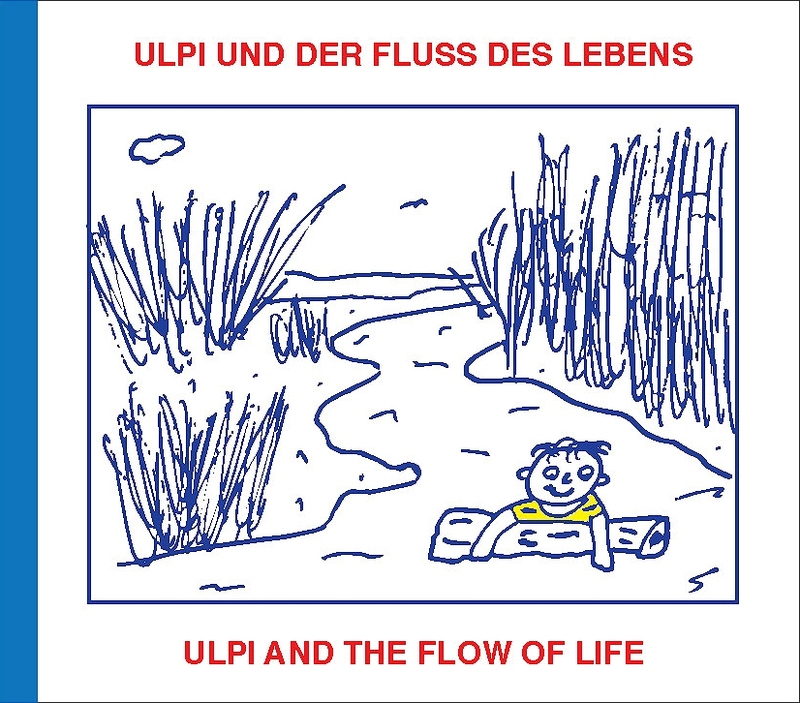 The funny thing is that in the USA the name „Ulpi“ is pronounced „Alpi“ like the Alps in Switzerland, my homeland. How can you describe Ulpi? He is clever, he has an ability to revive and philosophical views. He is a person who makes the best of things. Ulpi’s fairy tales refer to never giving up. They are short meaningful stories about how to fight against the adversity and pitfalls of life. The International Jazz Festival in Bansko is one of the biggest summer musical events in Bulgaria and one of the foremost international cultural happenings in the Balkans. 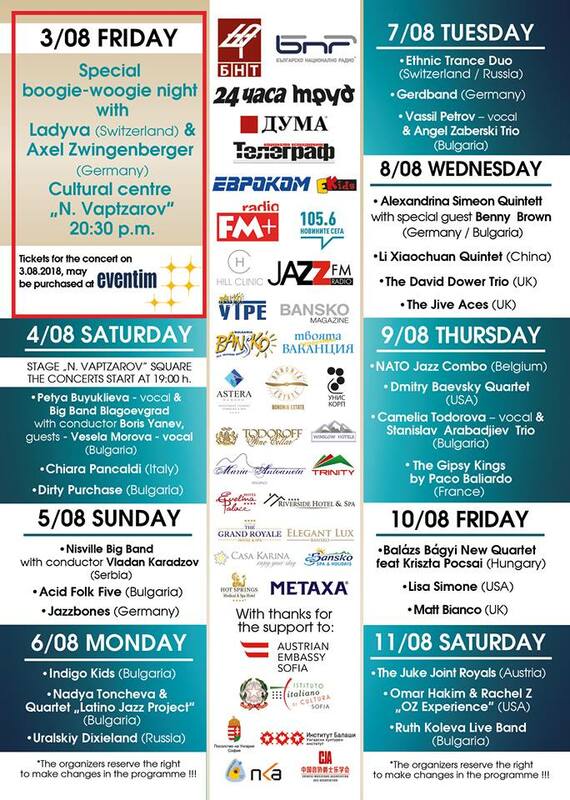 Since its foundation in 1998 the festival has been held annually from August 8th to 13th in the small town of Bansko. Tickets for the concerts are free of charge for the public. Traditionally, the programme features styles and groups representing almost all jazz styles. During the festival week, jazz is also played on various smaller stages in the large resort complexes and restaurants. 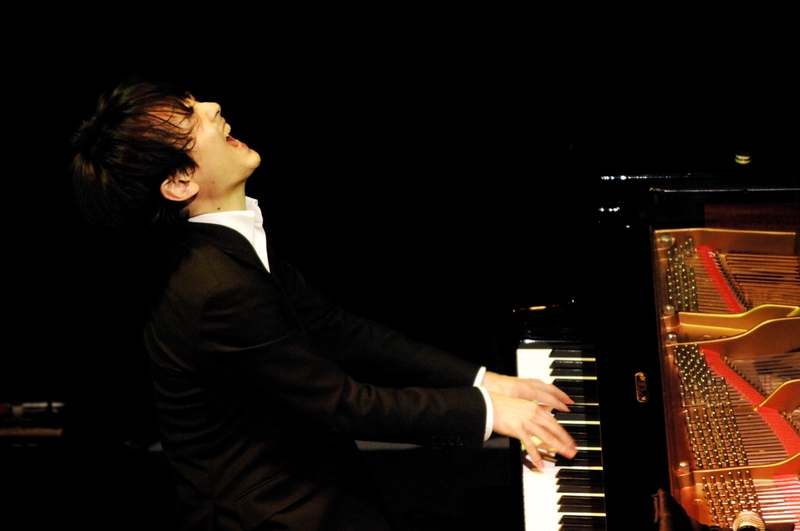 Today we would like to present to you the Japanese boogie woogie musician Keito Saito who performed at the 2016 edition of the Jazz festival held in the Bularian mountains. Mr. Saito, what is the meaning of music and especially of boogie woogie for you? I think for me music is the only universal language. Through music I can share my feelings with people from various countries, and tell them and make them feel the thoughts which cannot be expressed in words. Boogie Woogie contains the scream of people who had been mistreated and it has developed through a history full of of sadness. I believe this is the most important feeling when I play boogie woogie or blues. I would rather not spend the music life smoothly, and the encounter with the boogie woogie made myself as a musician. Although it is important to inherit the music technically, I also would like to inherit it without forgetting the history and the minds of great players.